This summer, get ready for FOCUS on JB and YUGYEOM form GOT7. 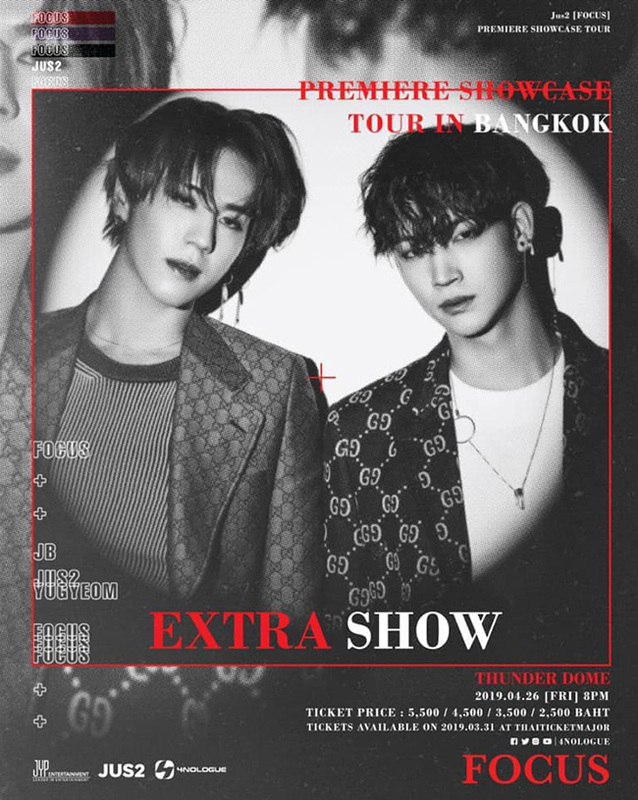 It’s the first time to make a unit together for Jus2 PREMIERE SHOWCASE TOUR in BANGKOK with 2 round performances for Thai Agase. Come to experience the new perfect chemistry of both guys only at this showcase! Copyright © Thunder Dome All rights reserved.